Can this Hap be kept with Haps and peacock's from lake Malawi I ask as there isn't much info on them. Ok So this is what I have fond out so far. Anyone know anything about them. King or chopstick would be the best people to answer. I'm sure they will get back to you soon. You have to admit Fishboy this is a beautiful fish. Hey what do you want to know ? Agree with that. The colours are amazing. i have to defer to mikes judgement on this one. but honestly no fish addition is ever a sure thing. regardless of others experiences. ive bought dozens of fish over the years that had to be rehomed. Thank you. When I read the article on this fish I fort it was saying that it dose mix well with all Malawi or Victorian cichlids and some of the Tanganyikan cichlids. but there are a lot of species so I fined it misleading in a since. 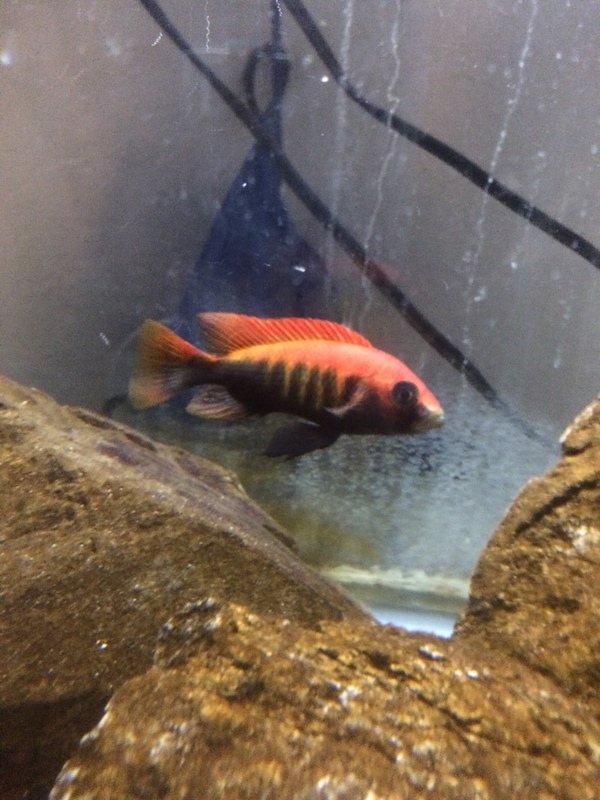 There is no mention of haps and peacocks but they are also Malawi cichlids. All my pre orded haps and peacocks will be in and arrowed 5cm. So maybe if I was to get just one Nyererei at about the same size it would work. But I am only just getting in to Africans I have been keeping Americans for years so not yet had the experience so don't want to deal with massive aggression untiled I have more hands on experience. I was thinking If I got just one nyererei of around the same size it could work. But the article is a little misleading I think. hybrids or not if it looks like that guy in the photo I would not care. But I know what you main. I keep 3 Victorians, Neochromis Omnicaeruleus Makobe OB with my Mbuna. They have a reputation for being mean and they can be with each other but they do seem to leave the rest alone. I don't keep Haps so couldn't say how they would get on. Mbuna can give as good as they get and I am considering getting a pair of Pundamilia Nyerere Makobe Island. The environment for the fish looking out of the glass is far more important than the pleasure of the monkeys looking in. If you asked me, I'd house one male to 5 females of the same species, but that's me.